Mix all the ingredients except oil in a mixing bowl. Sprinkle little water so that the batter coats the cashews evenly. Take a spoon full of batter and drop in hot oil and cook till it becomes golden brown in color. 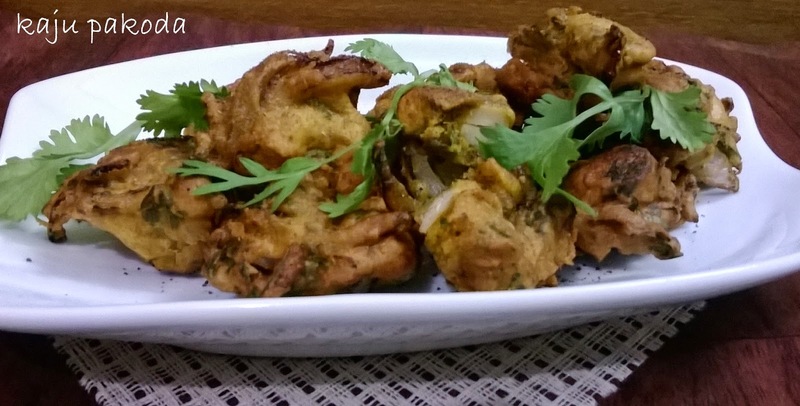 You can make it without rice flour, replace it with same quantity of chick pea flour , just add a pinch of baking powder to make pakoras crispy. Mash rice with your hands or with a spoon. Add rest of the ingredients to the mashed rice and mix well add little water to make a soft dough . Make lemon sized balls and drop them in hot oil and deep fry on medium heat till they become lightly brown in color. Drain out them on absorbent paper or kitchen towel and serve with green chutney or tomato sauce. Make a thick batter of coating consistency by adding 1/2 cup water to chickpea flour. Add salt to taste,turmeric powder, chili powder, garam masala, dhania powder and baking powder to it and keep aside. Cut cottage cheese in tO 1" by 1" long thin slices. Take one slice and sprinkle chaat masala evenly over it. Place another slice over it and press it with soft hands. Repeat the same with rest of the cheese slices. Dip each piece one at a time in the chick pea batter and deep fry it in hot oil till it becomes golden brown in color. 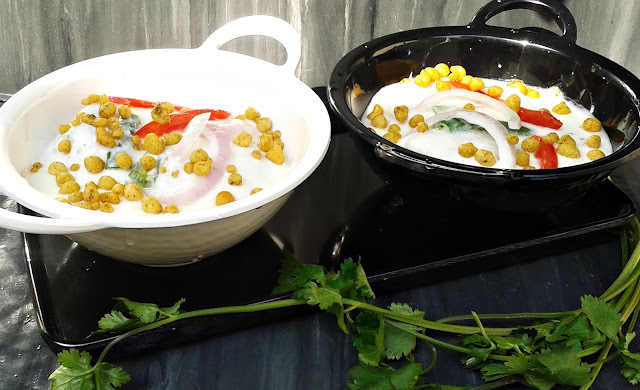 Sprinkle chaat masala on it and serve it with a tbsp full of tamarind chuttney and the same quantity of dhania chuttney or pudina chuttney mixed together. 1. 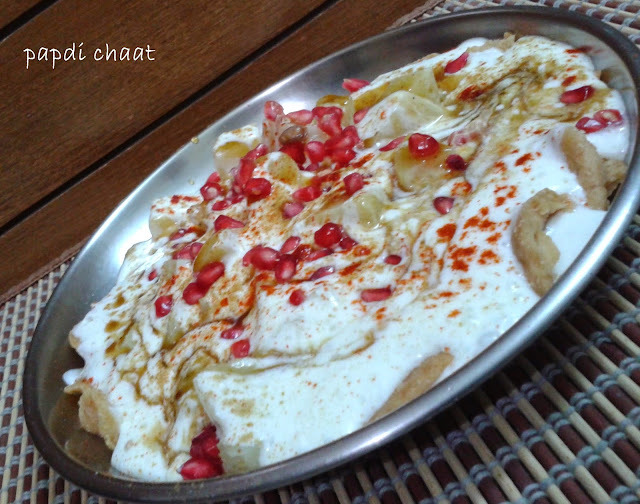 Instead of sprinkling chaat masala between cheese slices you can spread dhania chuttney or pudina chuttney . Knead regular dough as you knead for regular chapati or parantha using as much water as required. Keep the dough on rest for 5-10 minutes under damp cloth. Divide the dough in 3-5 parts. Take one part at a time roll it into a ball. Dust the ball with some flour and make a circular disk. Now spread pizza pasta sauce on it. Then a tbsp full of all the chopped vegetables mixed together. Sprinkle some salt and pepper and then place some grated cheese on it . Now join the edges of the circular disk to seal the stuffing inside and again roll out with the help of a rolling pin using as much dry flour as required. 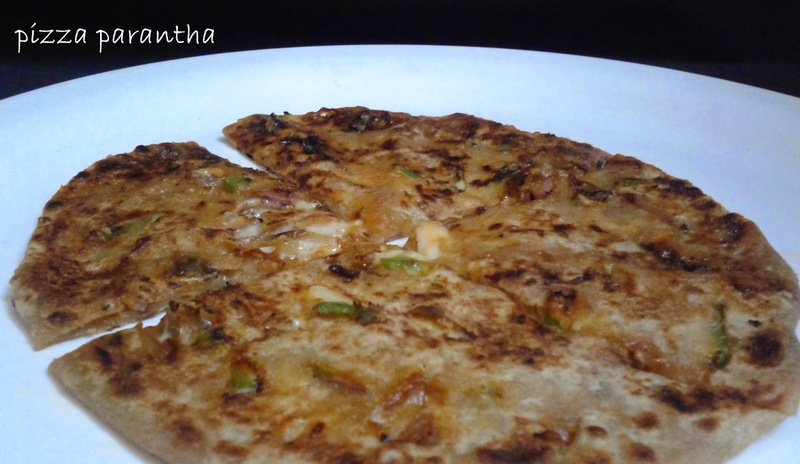 Shallow fry this parantha from both the sides on a non- stick tava (griddle) using oil till it becomes golden brown in color. 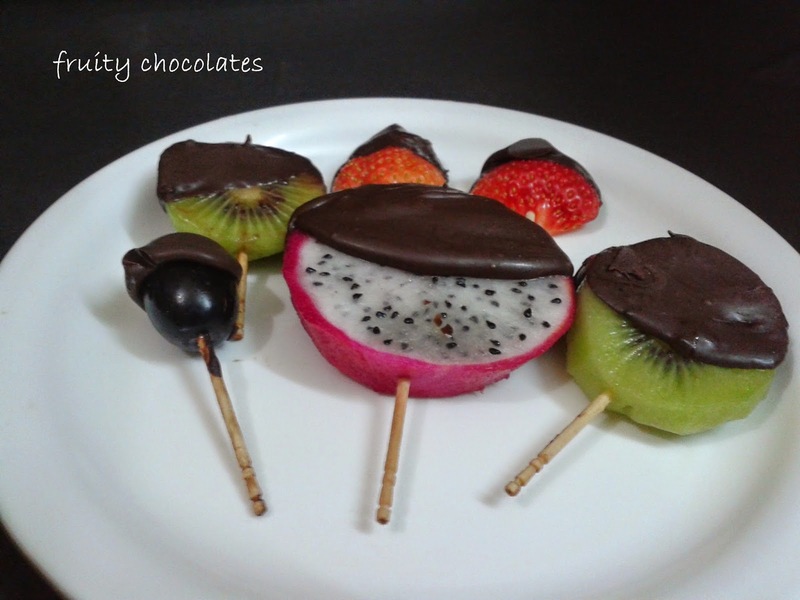 Cut the fruits in desired shapes and insert a tooth prick in each of them. Now dip them in melted chocolate and place them on a foil or on silicon sheet. Take them out gently and serve . You can also make skewers using long tooth pricks like shown in the picture below. Roll all the chapatis together and cut thin noodles like strips out of them.Keep aside. 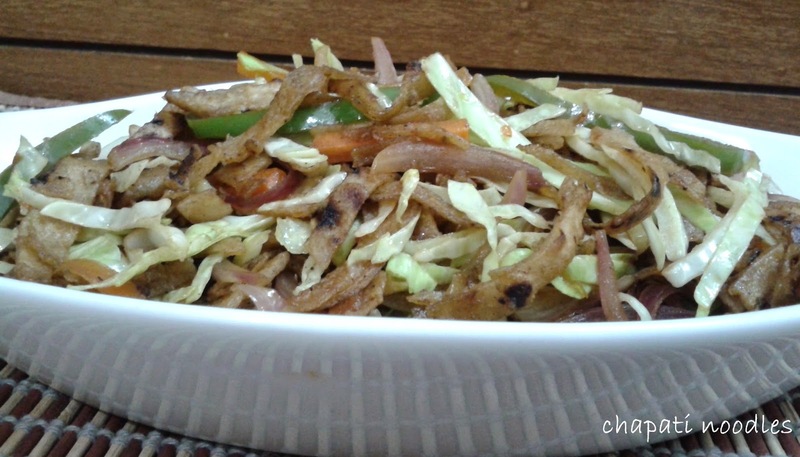 Heat the olive oil in a pan add onions, carrots and capsicum and cook these for two minutes now add cabbage and the thinly sliced strips of chapati and stir the chapati noodles with vegetables. Do not serve immediately because the chapati noodles will take 5-10 minutes to absorb the sauces. So make them 5-10 minutes before serving and heat them before serving. Arrange the papdi on a plate. Spread potato cubes and chickpeas on papdis . Sprinkle roasted cumin powder, and red chili to your taste. Finish the papdi chat by drizzling with tamarind chutney and hari cilantro chuttney. Mix the flour, sooji, salt, and 2 tbsp oil in a bowl. Add water to the mixture a little at a time and knead a firm dough. Cover the dough with a wet muslin cloth and set aside for 15 minutes. Divide the dough into about 3-4 equal parts. Roll one section of the dough to eight inches in diameter, fairly thin ­– about thickness of dime. Do the same with the remaining two parts. 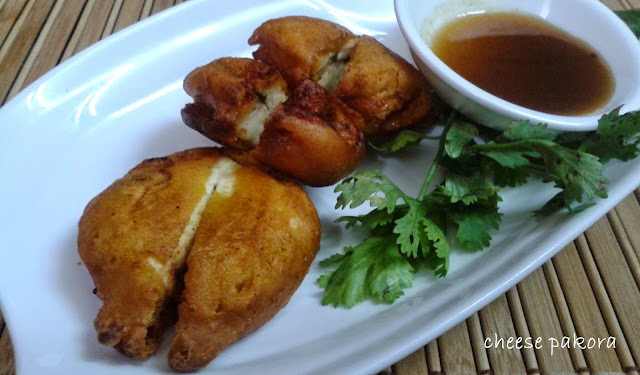 Prick the rolled dough firmly with a fork to avoid puffing of papdis while frying. Take a round cutter or a bowl and take out circles of desired size.Roll out the excessive dough in to a ball ,then repeat the method mentioned above and take out papdies out of that as well. Heat oil in a kadahi or wok and fry the papdis on medium heat until both sides are a golden brown in color. 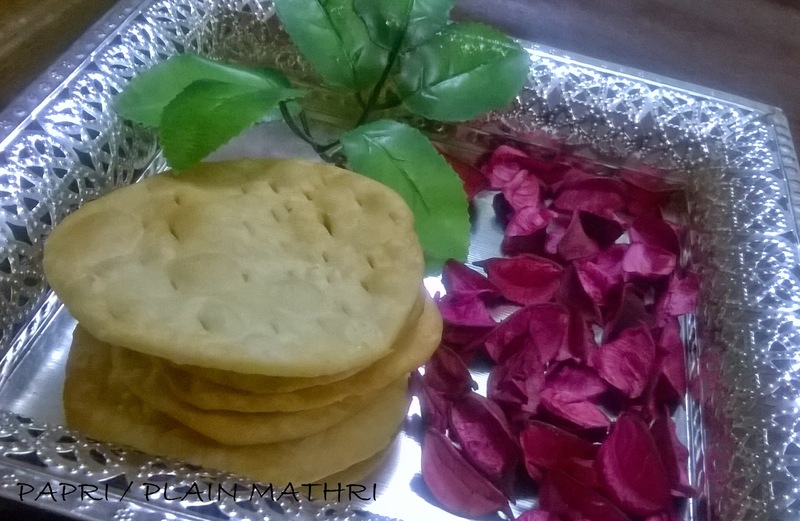 Remove cooked papdi with a slotted spoon on an absorbant paper towel. Do the same with remaining papdis as well. After the papdis cool down to room temperature they will become crisp. Papdis can be stored in airtight container for 1 month. Mix hung curd,milk and sugar with the help of blender. Grate ginger and squeeze out it's juice, and mix it in the curd discard rest of it or use it in ginger tea or in any other vegetable. Break the curry leaves with hands in small pieces and mix them in curd as well. Cut the green chili lengthwise in small pieces and mix these pieces with curd. Finely add salt at the time of serving and garnish with boondi. You can serve it with vada or bhalla as well. Heat oil or butter in a pan and add chopped onions,stir till they become pink in color. Add white sauce and rest of the ingredients and mix well. Cook till you reach the required consistency and serve hot with rice or chapati. Be careful while adding salt as it is already present in white sauce. Wash the okra thoroughly and clean each one with a cotton napkin properly. Cut off top and tip of the okra and chop it into 1/2 inch long roundels. Heat the oil and deep fry okra into it till it becomes crisp and brown. Drain it out on an absorbent paper. Take a tablespoon of oil in another pan and add cumin seeds to it. When they start to crackle add rest of the spices and salt and mix well. Add fried okra to it and mix well. 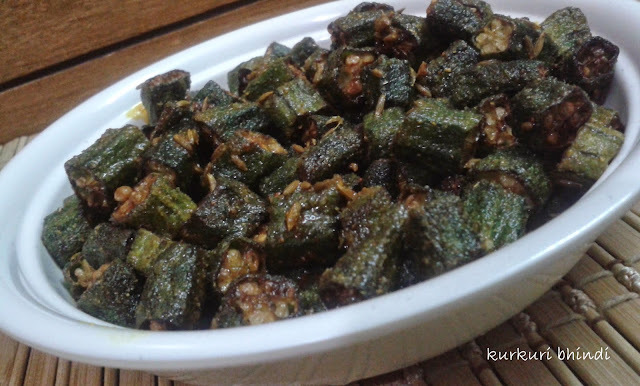 kurkuri bhindi is ready. Serve it with dal and chapati. You can add 1 tbsp of besan (gram flour) before adding spices, roast it and then add rest of the spices and okra.